The strain gauge is a sensor that can detect changes in electrical resistance and measure the load (force) that is applied to it. The strain gauge is a mechanism that measures the amount of change in the load (force) when the load (force) is applied to the subject that the strain gauge is measuring. As the strain gauge expands and contracts along with the strain of the subject, the electrical resistance values change accordingly wherein the strain gauge measures such change in electrical resistance. scales used in shops and beverage bottling. Applications also include weight scales for microwaves, pointing devices for PC keyboards, force sensors for medical equipment measuring intravenous tube pressure infusion, and the soil pressure system for tunnel shield excavation. 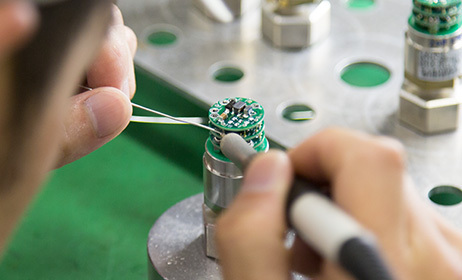 Minebea is active in a wide variety of applications, from torque sensors for detecting the torque of a motor vehicle engine to a pressure sensor to measure pneumatic and hydraulic pressure. In recent years in the North American market, a sensor for measuring the weight of the occupant has been mounted in the passenger seats of automobiles in order to control the deployment of airbags during a collision. of parts used in space, which can withstand the harsh environment, stands in some sense the pinnacle of manufacturing. This called for a production system satisfying the need to develop products that are highly waterproof, anticorrosive, and further, capable of achieving a stable supply of parts. Minebea’s challenge toward both high reliability and stable supply has begun. High durability and reliability are required to withstand the harsh environment in space, as the slightest error can lead to serious accidents in parts mounted on a space rocket, which is completely different from the environment on earth. 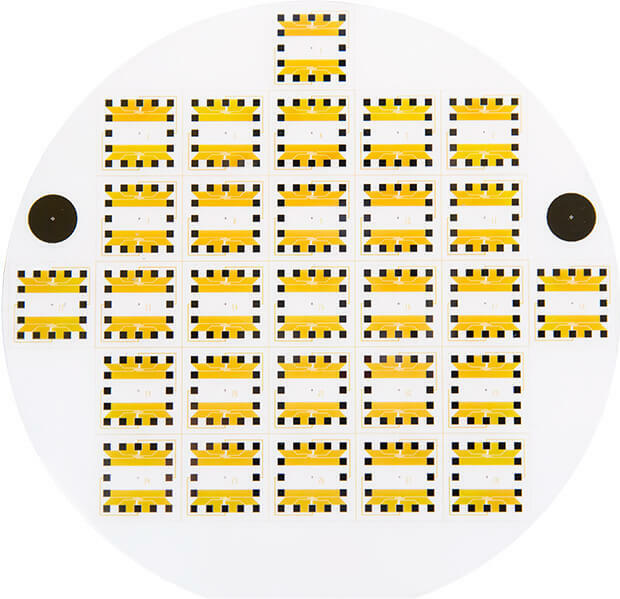 The metal foil strain gauge for mass production allows up to 0.5% total error in general measurement, but in products for use in space, only up to 0.2% error is allowed. Therefore, in order to achieve high precision, silicon on sapphire (SOS) is used as the base material, which is made by growing sapphire crystals with a layer of silicon on a sapphire substrate. Sapphire has excellent mechanical properties, allowing for higher accuracy in detecting pressure. In addition, sapphire is the most optimal as a material for use in space because it can withstand the high temperature of 380 degrees Celsius, and it is resistant to cosmic rays such as gamma rays. the production line for use in space separately, and use the same mass production line as the one for consumer products. 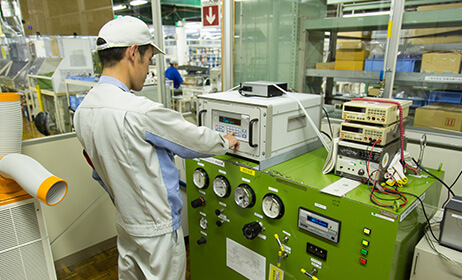 Firm management of the people, facility, and production in manufacturing enables production of value-added expensive products on a production line for consumer products, and the expertise and production members’ skills cultivated in this experience are applied to produce other measurement sensors.